Whether you and your extended family are planning a trip to Chester Zoo or you are looking to arrange transport in and around the city for business or pleasure, a coach is often the most sensible option, particularly for group sizes of 30 or more. Not only is a coach significantly more comfortable than the average train, with features such as on-board WiFi, reclining seats and toilet facilities often included as standard, but it is also more convenient, as your entire party can be picked up at a time you decide from almost any location you desire. Put simply, a coach runs to your schedule, it’s a more flexible option to suit your transport needs. As a coach hire comparison service, our job is to match you with the best operators in the area, all of which have been fully vetted by us. Simply input your information and the specifics of your journey and we’ll get back to you within minutes with up to four quotes from the operators we think best suit your needs. From major national businesses to family-owned and run independent shops, our network of operators is varied and vast, with just under 200 companies currently on our books. 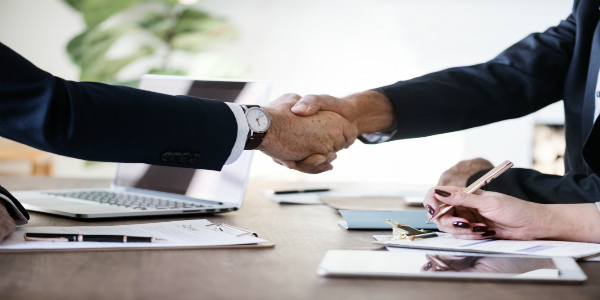 Best of all, once the first connection is made, we leave the rest up to you, so you’ll be dealing with the companies directly. Is your journey to or from Chester likely to require something a little smaller and more manageable than a coach? We have you covered. Alongside our coach hire comparison service, we also run a minibus hire comparison service, which works in exactly the same way and uses many of the same operators. Suitable for groups of under 30, our minibus hire comparison service offers the same great prices and the same no-obligation quotes as our coach hire service. With a size more suited to travelling in an older city such as Chester, with it’s narrow, winding roads, minibuses are generally very popular amongst tourists in the area. They are also perfect for small businesses trips and even school trips with smaller class sizes. Our operators will supply the driver and the vehicle, all you have to do is show up, sit back and enjoy the ride! 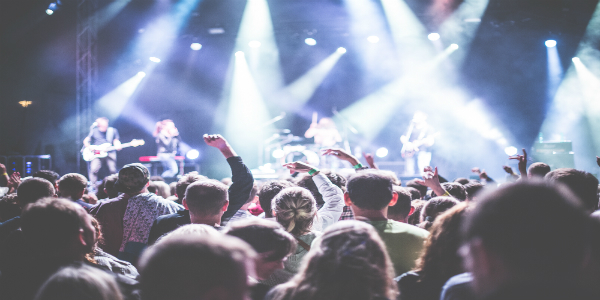 The Chester social calendar is always full, with numerous cultural events taking place in the area throughout the year. The Chester Races is just one example which is always busy and always fun. Arranging transport for larger groups to big events such as the races can be problematic, however, particularly when parking might be at a premium. Allow us to shoulder that burden for you and help you find cheap and reliable transport. 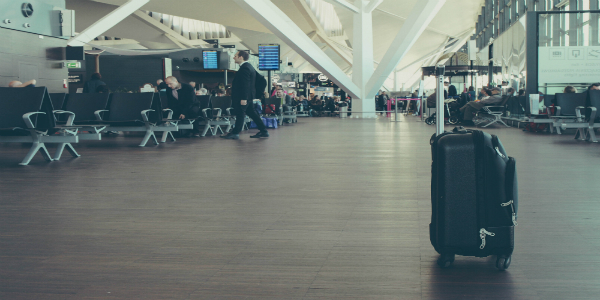 Liverpool airport is just 20km north of Chester, and our partners can comfortably arrange transfers to and from the airport and the city (as well as its surrounding areas). Holidays can be surprisingly stressful affairs, and we can arrange either minibus or coach transfers for smaller or larger groups, which will take away at least a small part of the stress involved. With your special day approaching, the last thing you want to be worrying about is whether or not uncle Dave and aunt Margaret can find the venue or whether everyone manages to make it from the church to the reception without getting lost. 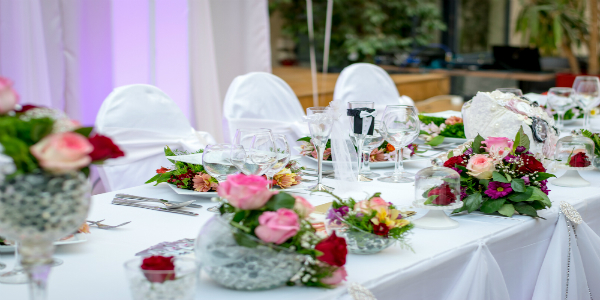 Our operators have seen more wedding bells than they have hot dinners and know exactly the right packages to suit all weddings, from the grand and ostentatious right down to the calm and comfortable. 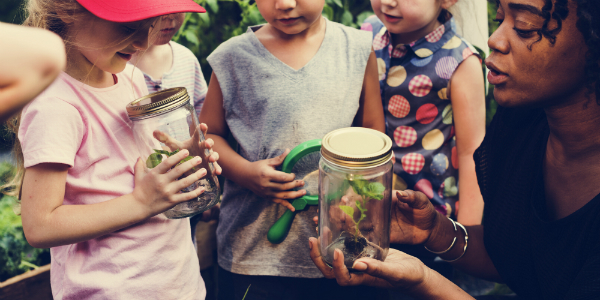 With its wealth of museums and historical landmarks, not to mention the new Storyhouse theatre complex, Chester is a very popular destination for school trips. Our coach operators know the area extremely well and as they have already been vetted by us, you can trust the companies we recommend will provide safe and reliable transport. If you’re looking for business transport, albeit for a conference, Christmas party or meeting, we can gather a series of no-obligation quotes to suit your travel needs. We’ll send you the prices and information of several vetted companies and if you choose to go ahead and book one of the operators you can use your personal booking dashboard for ease. 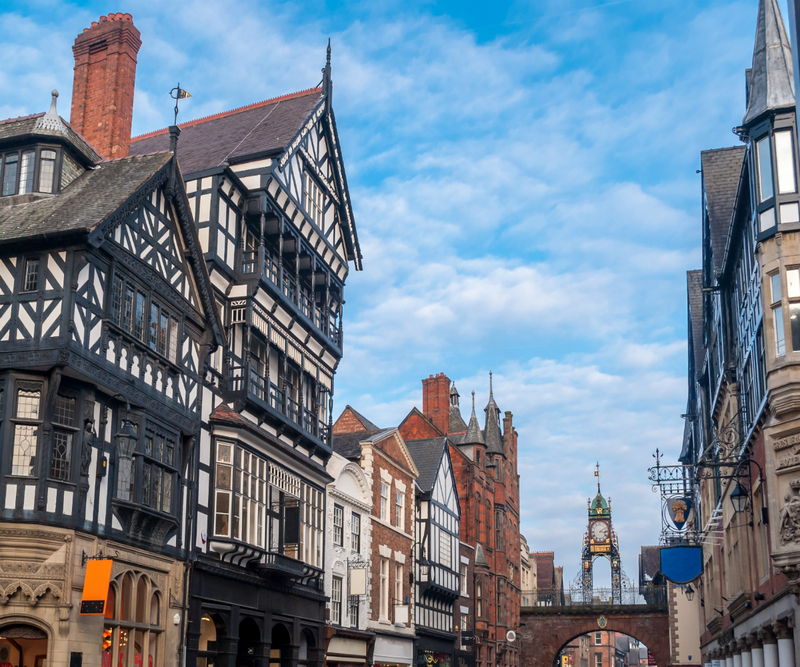 A great north-western city absolutely swimming in history and intrigue, Chester is a gorgeous and unique city situated on the Welsh border, just below Liverpool. The city was founded way back in the 1st century AD as a Roman fortress and is still known today for the Roman walls that surround it in red sandstone. The first thing you’ll notice is the architecture, with the rows of black-and-white timbered houses lining the city’s many busy high streets. Today, it boasts not only plenty for history buffs to take in, but some truly wonderful local attractions, which include stunning gardens, grand stately homes and more. The area is also home to the world-famous Chester Zoo, which is one of the largest and oldest zoos of its kind in the world! Chester is also a city where the contemporary meets the historic. Whilst there are 2,000 years of history to explore in the old town, it’s also gained a reputation as a shopper’s paradise and contains many top bars, restaurants and night spots. That’s not to mention the various annual food and drinks festivals that make Chester a truly gastronomic city! So whether you’re taking in a show at the brand new, award-winning Storyhouse theatre complex, tracing the city’s Roman heritage, planning a day at the races, indulging in a spot of shopping along the famous “Rows,” (which themselves date back from the medieval era and are built on the ruins of old Roman buildings) or looking for a city break with a little more than the usual to offer, Chester is ready to welcome you with open arms. "Fantastic service. Great service from the driver. He was very helpful in picking us up and loading the vehicle, and very accommodating of all of us. Communication was excellent and service was exactly as promised. Great price and would definitely recommend these folks!" "We travelled with travel safe from Liverpool to Edinburgh and then back again and I couldn’t fault it at all. The bus was spotlessly clean with plenty of room for all of the 12 passengers. The driver Laura was excellent! There was fantastic communication between her and myself and I never felt unsure as to what was happening. She allowed for plenty of stops there and back and we could eat / drink on the mini bus which was brilliant! I would definitely use travel safe again and recommend it to others." "Journey outbound went well but on return the driver wasn’t very helpfull and my party of 12 had to walk over 2 mile to meet the driver which was unacceptable as we paid up front and gave a good tip. The bus was very clean and comfortable." "Dan was fantastic, his communication was spot on, he arrived on time and was so flexible to ours needs. The bus was clean and spacious and all our hens had a great time!" "On time, Clean Vehicle, nice driver"
"Absolutely fantastic from pick up to drop off. Mark our driver was so friendly. Prompt and couldn’t do enough to help us get as close as we could to the racecourse. Coach was immaculate"